Results for the Julau PKR polls were suspended after an alleged cyber attack. Rafizi Ramli claimed a malware application had been installed on the e-voting tablets used in the polls. 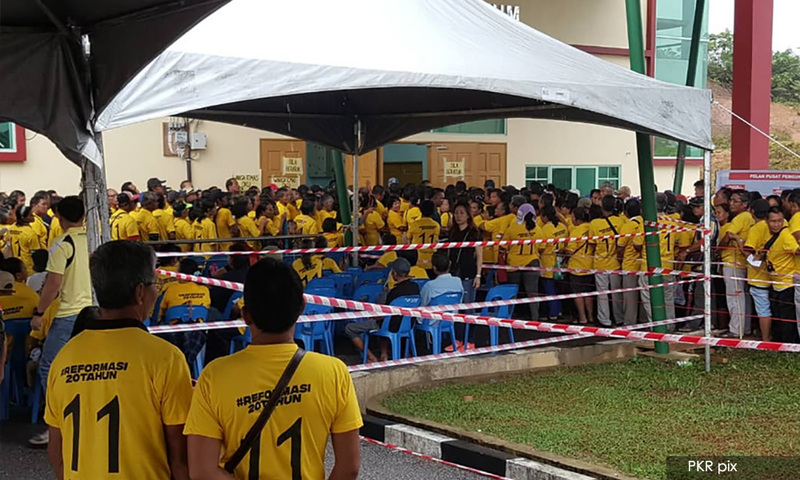 The PKR deputy presidential candidate's version of events, however, were disputed by incumbent Julau PKR chief Semana Sawang. Rafizi's rival Mohamed Azmin Ali won the first round of Sarawak PKR elections, but the results could be tilted by the outcome of the Julau polls. Education Minister Maszlee Malik said it was disrespectful to discuss rumours that he would resign as International Islamic University Malaysia (IIUM) president while attending an event at the institution. IIUM said it had not received any word that Maszlee would step down as its president. Maszlee defended the appointment of former BN minister Abdul Wahid Omar as Universiti Kebangsaan Malaysia (UKM) chairperson as one based on merit. PTPTN chief Wan Saiful Wan Jan apologised for failing to deliver on Pakatan Harapan's promise to defer loan repayments for those earning less than RM4,000. The Finance Ministry has agreed to look into a proposal by the Education Ministry to continue a book voucher scheme for varsity students. Human Resources Minister M Kulasegaran claimed a large amount of money belonging to the Human Resources Development Fund (HRDF) had been diverted and misused for the personal benefit of a few individuals. Ex-law minister Zaid Ibrahim retracted his claim about former finance minister Daim Zainuddin and his “billionaire friends” holding sway over the government, and vowed to retreat from the public sphere. PKR polls continue in Sarawak, with re-elections for several divisions also being held in Sabah, Malacca, Negeri Sembilan, and Selangor.